We carry the parts to repair most toilets in our trucks. 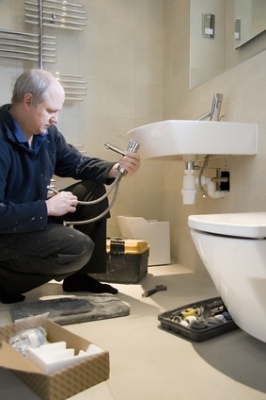 Our plumbers have tools to unclog any toilet or drain. Toilets are in the truck in case yours is cracked or broken. Our plumbers keep all work areas clean, by laying down plastic and wearing booties to protect your home. We promise a speedy, high quality, professional job. We guarantee that every detail of your project is completed competently and quickly. A written estimate is provided before the work is done.